I'm sure that you'll agree with me when I say that all of us have "growing up" memories of ice cream, and summer or not, it is everyone's favorite treat! I grew up in a country where tropical fruits grow in abundance, and ice cream flavors are adapted to whatever fruits are in season. I remember this ice cream company named Magnolia which sold special edition ice cream dubbed "Flavor of The Month," which as the name implies, is only sold for a month. I was always so excited to know what the next flavor would be, and I would see to it that my father buys it for me. When we moved to the US, I was kind of disappointed that I can't be able to eat the ice cream flavors that I grew up eating! Though there are American flavors that I love like the butter pecan, cookies 'n cream, neapolitan and strawberry, there are times when I crave for Filipino flavors like Avocado, Mais-Queso (Corn and Cheese), Mangga(Mango), Nangkasoy (Jackfruit & Cashew), Quezo Real (Cheese) and Ube Macapuno (Purple Yam and Coconut Sport). I've long been wanting to make homemade ice cream, but I was thinking that it is so time consuming to do if you don't have an ice cream maker. When I saw the Cuisinart 1.5-Quart Ice Cream Maker that is currently on sale at Costco, I didn't even have second thoughts of buying it, and when I found Mexican mangoes at the Asian Store last Sunday, I knew that it's the first flavor that I gonna make. Though there are mango ice cream available here, I still miss the Filipino Mango Ice Cream which is made from Philippine Mangoes, most commonly known as Manila or Carabao mangoes, a variety similar to Mexican Ataulfo Mangoes except that they are sweeter and has less fibers inside making it a lot softer. 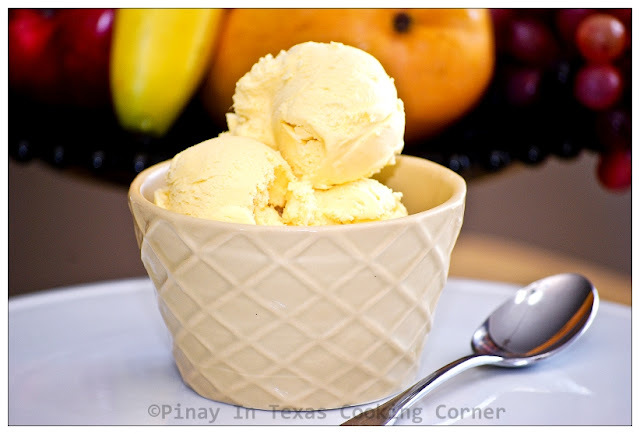 Between the two basic types of ice cream which are the Custard or French custard-style which as the name suggests, is made from a custard base and the Philadelphia also called "New York" or "American" style which contains no egg yolks and does not require cooking, I chose to do the latter which is less time consuming and easier to make. It was my first time to make ice cream, and though I have an ice cream maker, I prefer my first ice cream making experience to be as hassle free as possible. I'm so glad that it turned out perfect! I'm excited with the thought that now, I can already make the other Filipino ice cream flavors that I love and terribly miss like the Avocado, Quezo Real and Ube Macapuno. 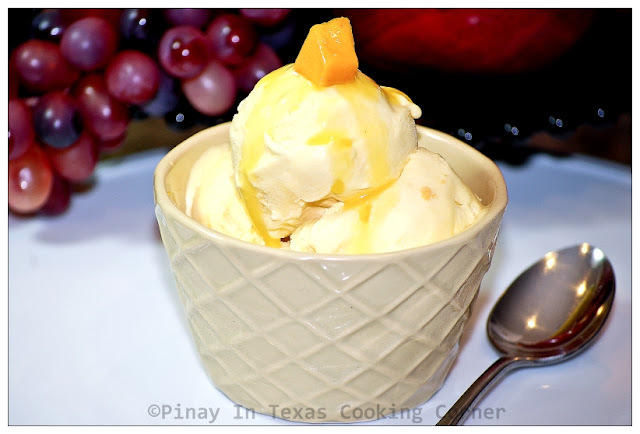 I'm so happy to be sharing with you this very simple ice cream recipe that I came up with after checking on some homemade mango recipes online. This will be my entry to A Latte with OTT'A's June Iron Chef Challenge which is sponsored by Dean Foods & Kelsay Farms. The themed ingredient for this month is milk, which is still my family's favorite source of calcium. Not only does it provide more calcium per serving than any other food, it also contains other nutrients like lactose and vitamin D which increase calcium absorption. 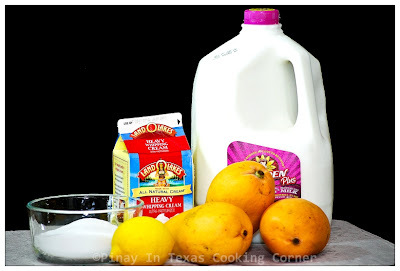 For my mango ice cream, I used Borden Milk, one of the products of Dean Foods which is one of the leading food and beverage companies in the United States and a European leader in branded soy foods and beverages. Since we got here in Texas in 2004, Borden has been our favorite brand. We've tried some other cheaper brands, but I can say that nothing compares to the taste of Borden Milk. I'm also sharing this on Food Trip Friday, Foodie Friday, Fat Camp Friday, Friday Potluck@EKat's Kitchen, Feed Me Tweet Me Follow Me Home and Simply Delish Saturday. 1. 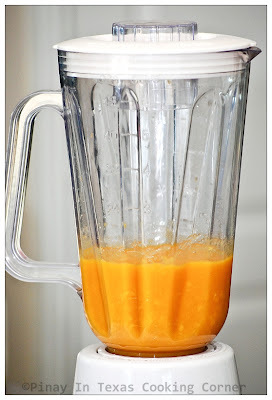 Puree the mango, ¼ cup sugar and lemon juice in a blender until very smooth. 2. In a large bowl, combine cream and milk with the remaining ½ cup sugar, stirring to dissolve the sugar. Stir in the pureed mango. Do not beat. Just stir gently to mix in. 4. Pour in your ice cream maker and churn. Mix for about 25-30 minutes or according to manufacturer's instructions. If you don't have an ice cream maker, pour the ice cream mixture into a wide, airtight container and put in refrigerator for at least 1 hour then place in the freezer for 30 minutes. Beat ice cream mixture with an electric mixer until smooth. Put it back in the freezer for 40 minutes - then beat with an electric mixer. Repeat "40 minute freeze-then-beat cycle" 3 times. You can choose to either beat your ice cream mixture every 40 minutes until frozen or let your ice cream mixture freeze on its own. Either method works fine but the more you beat it, the softer it will be. 5. Serve and be refreshed! If firmer texture is desired, transfer ice cream in a tightly sealed container and freeze for 3 to 4 hours before serving. Although making homemade ice cream does take more work than opening a container of store bought ones, it’s worth all the time and effort to make your own. The good thing about homemade is you can control the ingredients that go into your ice cream. That means no chemicals, no preservatives, no ingredients you can’t even pronounce. With the right choice of milk that you use like that of Dean Foods, you can create your perfect ice cream, and you might not want to eat store bought ice cream anymore! 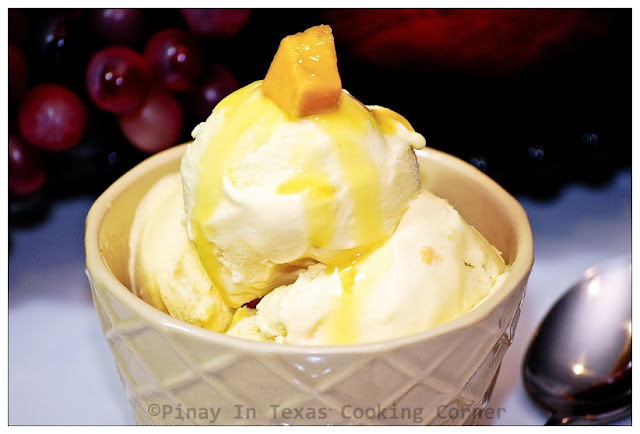 i love everything about mango, especially mango ice cream.. im drooling! love to try these one, thanks for sharing! Good on you for grabbing that great deal on the ice cream maker! I'm sure you're going to get so much use out of it. It's so nice that you can recapture some of the flavours you grew up with. The ice cream looks delicious. Wow, Tina! 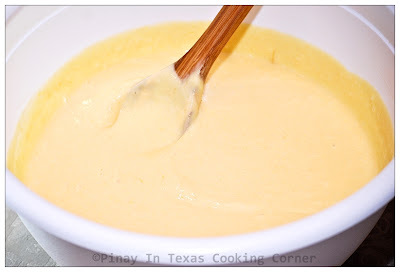 I do love your version of the mango ice cream...w/o the egg custard, and just the creamy version. Our mango tree has not prdouced a lot of mangos this year in S. Florida, due to lack of rain. BTW-There's an award waiting for you to claim, so stop by my blog...Congratulations, well deserved! This looks absolutely yummy! Today I actually had a cheesecake mango blizzard at DQ, but this looks like it would taste much better. Oh my goodness - this ice cream sounds delicious!!!! I have the Cusinart Ice Cream Maker too!!! My son loves mangos....he will love this!! I am suddenly yearning for good old Magnolia ice cream. Lovely mango ice cream you made, Tina. Is it hot there all the time? It's cold again here in London. Cuisinart ice cream maker is just great, isn't it? wow, you're really great...well done for first try! your ice cream looks really delicious, especially that you added some bits of mangoes...yummy! thanks for sharing your recipe. wishing you a great weekend! 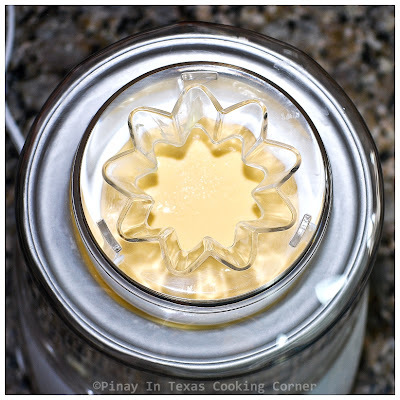 Adora, it's hot here in TX from around March to late September, so I'll be using this ice cream maker a lot! wow! homemade ice cream! sarap naman! I love mangos, I love ice cream. I will love this! Hey!Love the mango ice cream ... great flavor and I agree with u about the fragrant phillipines mangoes. I'd just made some ice cream too, quite similar to this method altho I don't have an ice cream maker. There's a lot of flavors out there that are pretty strange to me ... corn and cheese? My son and grandson LOVE mangoes so I'll have to try this ice cream! I bet it's fabulous! This looks fabulously creamy and love it even more with mango. Couldn't agree more with you: homemade no preservatives etc. so you can't get better! Beautiful. Homemade ice cream is the best! And you can make whatever flavor like! I have an ice cream maker too and use it regularly in summer! I love it so much! I love mango and it is my husband's favourite flavor (mango ice cream is very common in India), so I'll be making it when mangoes become in season. Thanks for another great recipe Tina! Wow! How I wish I could find an ice cream maker here. It made every thing easy. Simply Delish. Hope to see you again next week. Can't believe I'm just seeing this now! I love mango & this ice cream sounds great! What do you mean by chill? Like in the freezer or fridge? Just put in the refrigerator for about 1 hour. Envious!! Looks delicious! I will try to follow your recipe. is it ok to substitute whipping cream to nestle all purpose cream? yes, you may use nestle all purpose cream as a substitute for heavy whipping cream. me and my family love thi.. I use fresh milk but evaporated milk will do. I'm going to make it right now! Can't wait, your recipe and instructions are great. Thank you!